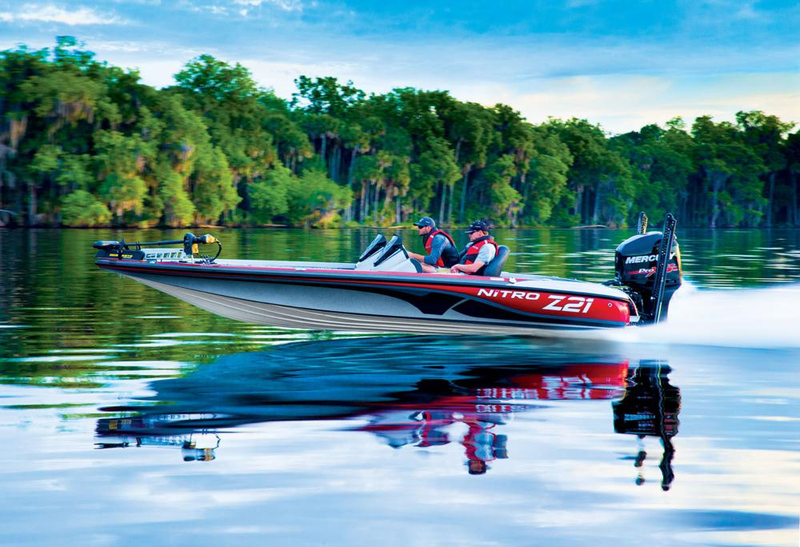 Looking for the best go-fast powerboats to hit the water in 2018? Here are five stunners that will leave you breathless. From the Miami International Boat Show in February to the Fort Lauderdale International Boat Show last month—and everything between—it was clear that 2018 would be a killer year for high-performance center consoles, catamarans and V-bottoms. That’s just what happens when the economy is strong, for nothing affects big-ticket discretionary purchases like economic uncertainty, much less downturns. Narrowing down the list of stunning go-fast offerings to just five boats was—I confess—a challenge because there were so many boats that could make this highly subjective and completely opinionated list. But as the saying goes, that’s what they, the good people at boats.com, pay me for. So here are my favorites, ranked in order. You may agree. You may disagree. Either way, here’s goes. Cigarette Racing Team’s 2018 collaboration with Mercedes-AMG may well be the most impressive product in the 11-year history of the marketing partnership between the two companies. 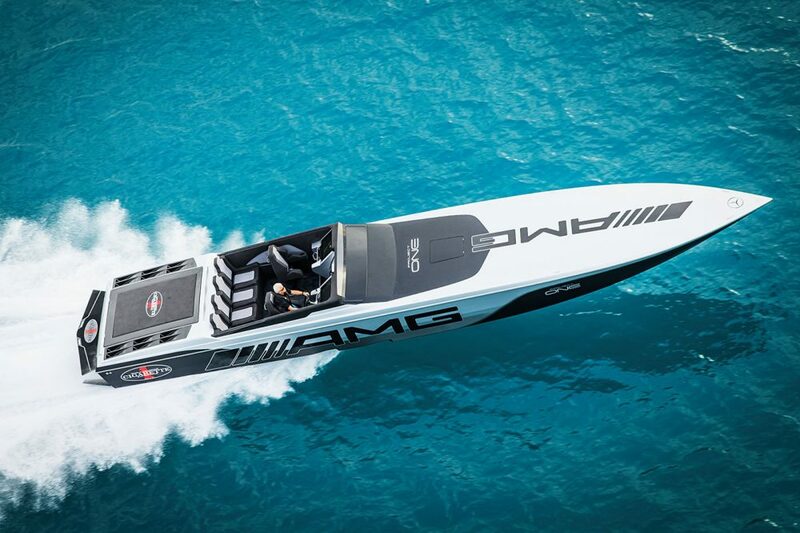 For 11 years, Cigarette Racing Team and Mercedes-AMG has enjoyed a fruitful marketing partnership in which Cigarette creates a boat to match the latest Mercedes-AMG supercar. With its 51-footer, an expanded carbon fiber version of its popular 50 Marauder, powered by Mercury Racing 1550/1350, the Opa-Locka, Fla., sportboat builder created a perfect match for the mind-blowing car, both of which stole the 2018 Miami International Boat Show. 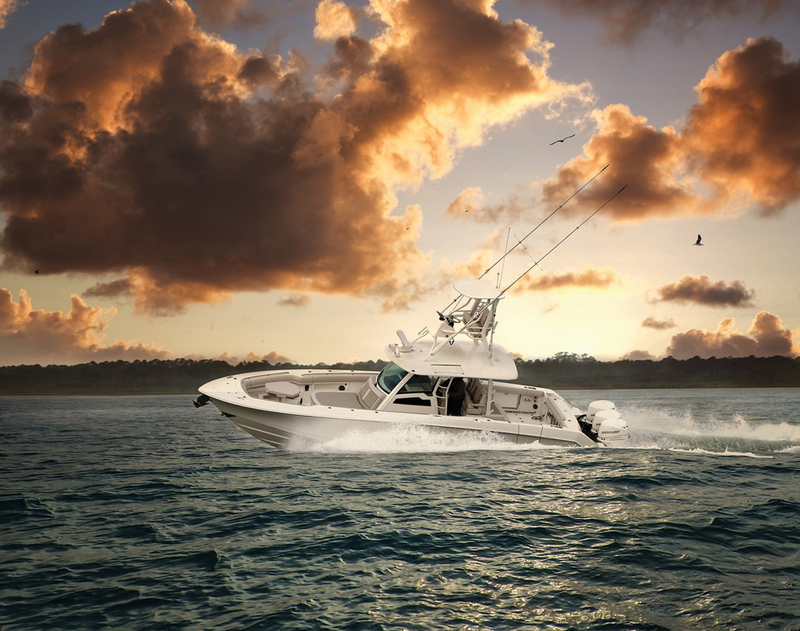 With its 32 Thunder Cat, Fountain put itself on the white-hot sport catamaran market map. While the Fountain’s 32 Thunder Cat is a late arrival to the outboard engine-powered sport catamaran market, the aggressively priced 32-footer powered by Mercury Racing Verado 400R outboard engines is a welcome addition to the segment—and just what Washington, N.C.-based Fountain needed to create buzz for the brand. With a top speed of 122-plus-mph, the model is among the fastest in the breed. While the Fountain 32 Thunder Cat likely isn’t the most refined sport catamaran on the market, it definitely was the most important addition of the new year. The eight-seat Skater 388 catamaran was built to accommodate and please a crowd. Photo by Pete Boden/Shoot 2 Thrill Pix. 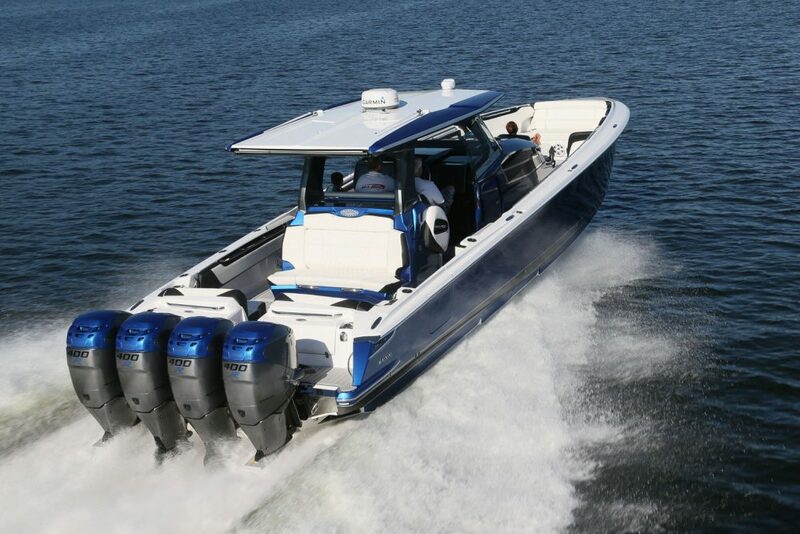 Though Skater Powerboats has had the 388 in its catamaran line for years, Skater aficionado Ron Szolack of Harrison Township, Mich., took the 38-footer’s ability to accommodate passengers to a new level by having the Douglas, Mich., company build him one with eight bucket seats. That meant Skater had to actually expanded the cockpit for the catamaran, which is powered by a pair of Mercury Racing 1100 engines. Of course, as a customer builder Skater handled it perfectly. The result is a full-size, impeccably crafted and well-mannered catamaran that can handle a crowd. The M35 catamaran ruled the roost for DCB in 2018. Though DCB has rightly focused much of its attention its 28R and 29R outboard-powered sport catamarans in the past two year, the company’s M35 offering continues to lead as the El Cajon, Calif., builder’s hottest offering for serious aquatic speed lovers. 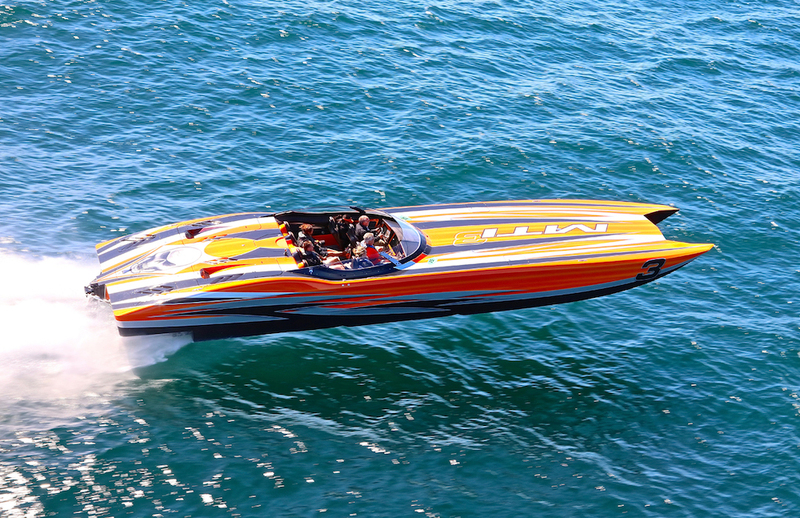 And while DCB built a few of them in 2018, none was hotter than Mercury Racing 1100-powered 35-footer that went to Dan and Kelly Marino of Auburn, Ala. Inside and out—and on the water—the Marino’s beauty captured attention everywhere it went this season. See our full review of the DCB M35 Catamaran. Completely reborn as an outboard-powered catamaran, the Skater 30 Prototype project was the restoration and repower accomplishment of the year. Photo by Pete Boden/Shoot 2 Thrill Pix. How does a 30-foot catamaran built in 2005 make this list? Great question. 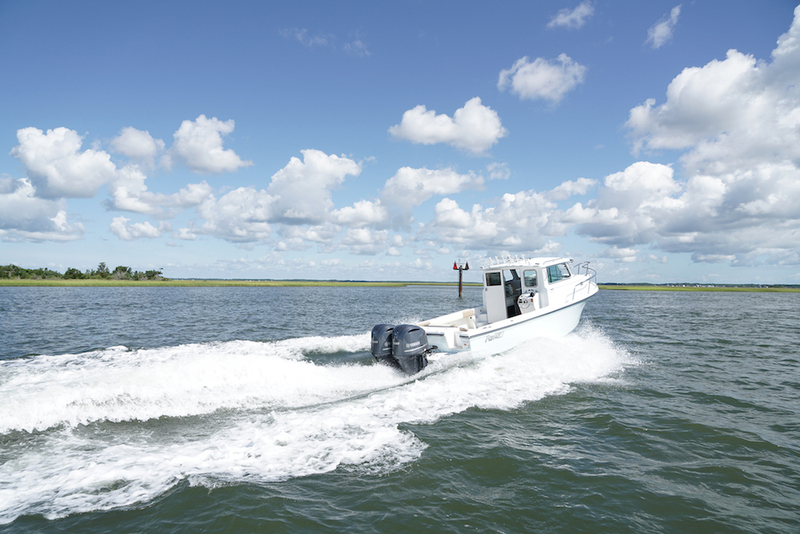 First, the boat, which is owned by Dale Rayzor and was originally powered by 800-hp Sterling Performance engines, now reflect today’s hottest propulsion trend in its conversion to Mercury Verado 400R outboards. 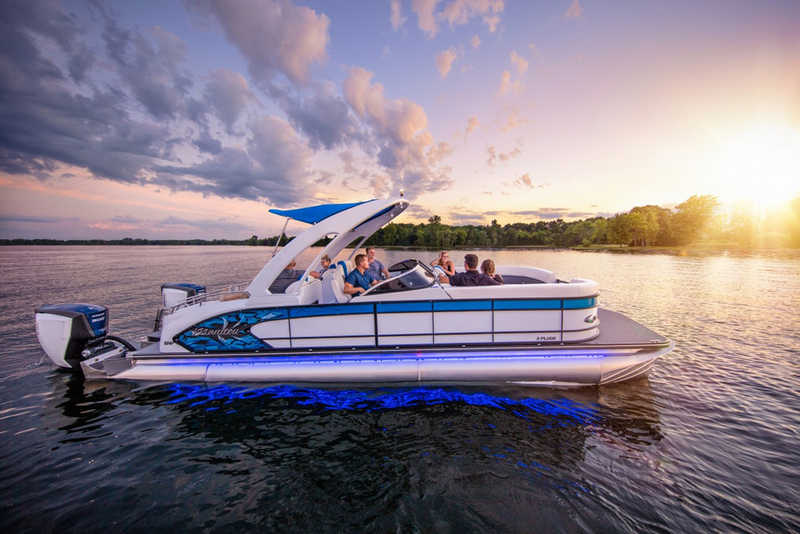 Second, the 30-footer, which was a head-turner from the day it was released, became even more stunning with a paintjob from Chris Mills at Boat Customs in Caledonia, Mich. Last, Skater reconfigured the boat’s interior and even included an integrated swim platform between the outboards. In short, the Skater 30 Prototype, while not a new model, was the hottest go-fast powerboat restoration project of the year. 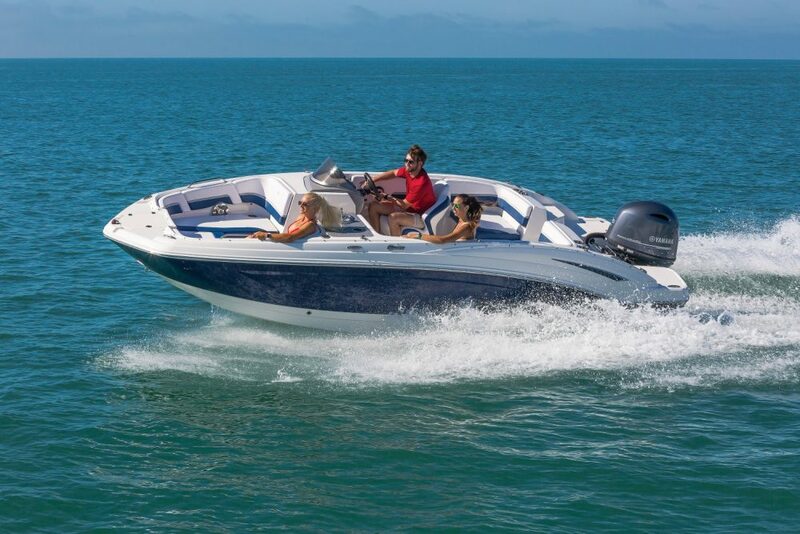 See all our high performance speed boat listings, and don't forget to check out last year's models: Best Speed Boats of 2017.